/ Attention Watch Lovers – Get spoiled with perfect gifts & accessories! Great gift and accessories ideas perfect for collectors of fine watches. Whether looking for yourself or the perfect gift for someone else, you'll find some great ideas here for the watch enthusiast in your life. 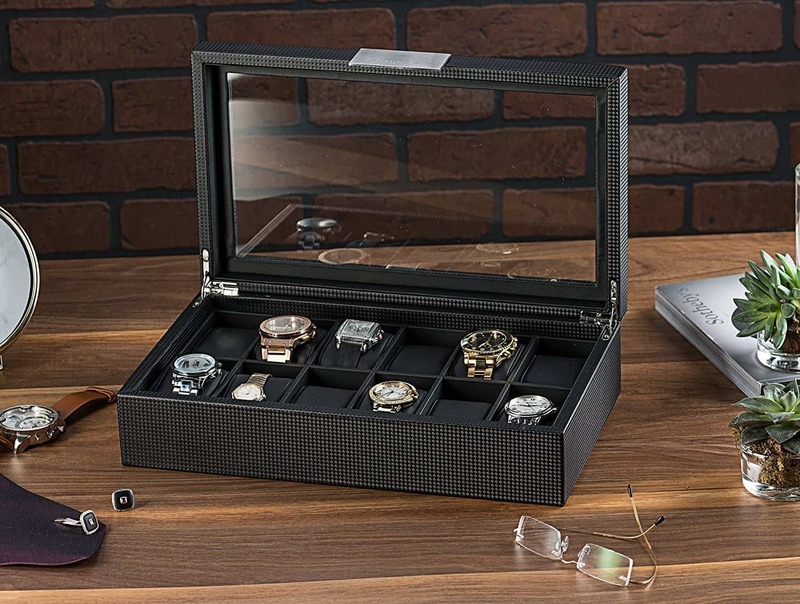 Books, Watch Winders for Automatic watches, and watch cases are always winners. We have included in the a range below some of the most popular accessories and books. Click on the link below to take you directly to the item you're most interested in, or continue scrolling to see all our gift ideas. Years ago Rolex used to publish booklets containing amazing stories of adventures that owners of Rolex watches had experienced with their watches under the title "Every Rolex Tells a Story". 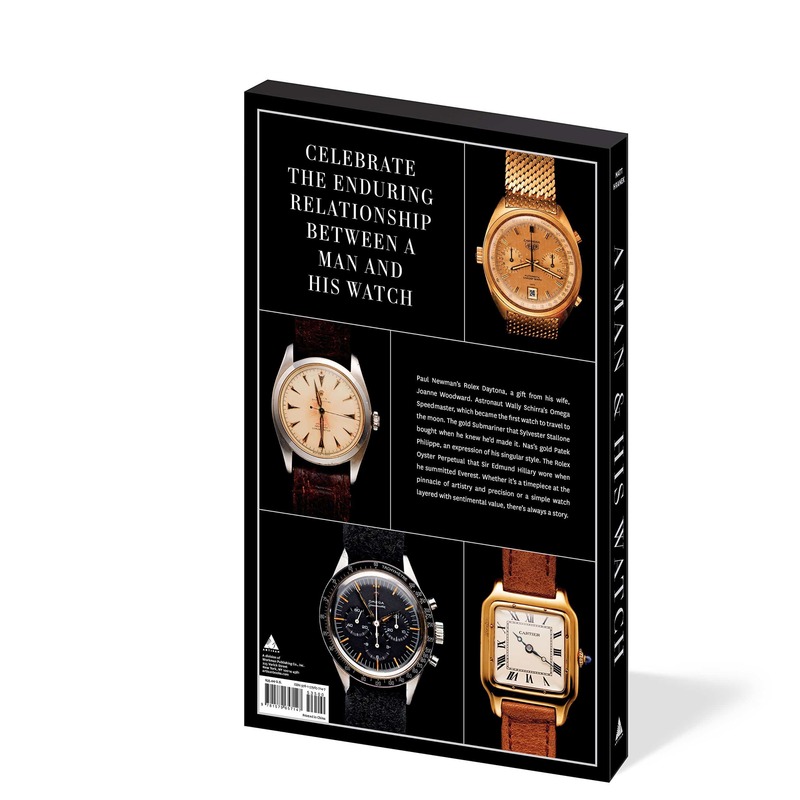 This book widens the scope of this theme to include all brands of watches and the stories that connect a particular watch to its "celebrity" owner. ​This book does not dive deeply into any particular watch. No, that's not what this book is about. This book is about people and the one watch in their collection that is most special to them, the one that speaks to them most, the one that has been a part of their lives during the most significant moments whether they were good or not. It doesn't matter if their collection consists of one watch or many dozens or if that special watch cost a few bucks or many thousands. It's the one watch that could never be replaced and the one that most likely will never be sold. 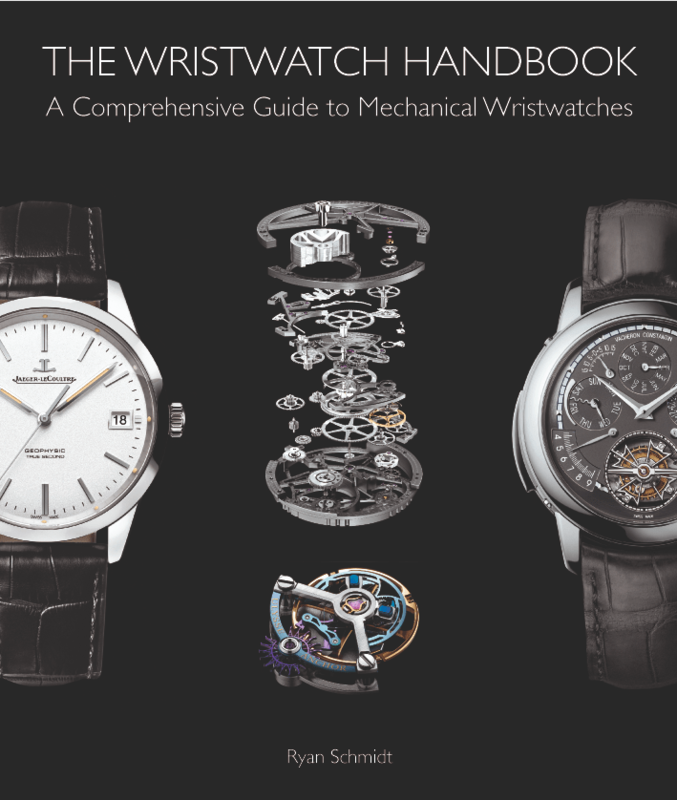 The Wristwatch Handbook covers all mechanical movements and does so with more than 470 rich illustrations from over 90 of the World's leading brands. This book is separated into two sections. The first section provides a comprehensive understanding of the mechanical movement allowing the reader to gain an understanding and appreciate what's happening beneath the dial of a watch. Section two takes this understanding and applies it to the vast range of functions (complications) that exist in modern horology. Each chapter showcases a distinct category of complication. The Wristwatch Handbook places equal emphasis on the classic and the cutting edge, on those produced in large volume or exclusive runs, by industry-leading technology or at the hand of a master. 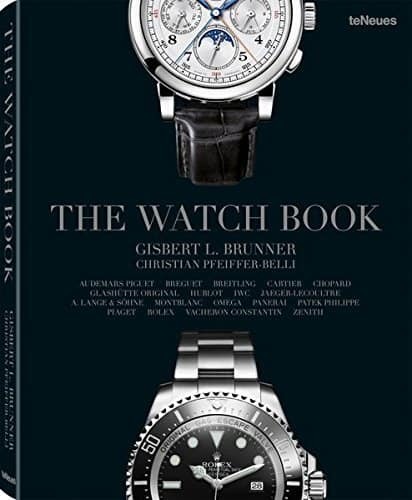 This book provides an unparalleled range of watches from over 90 brands. 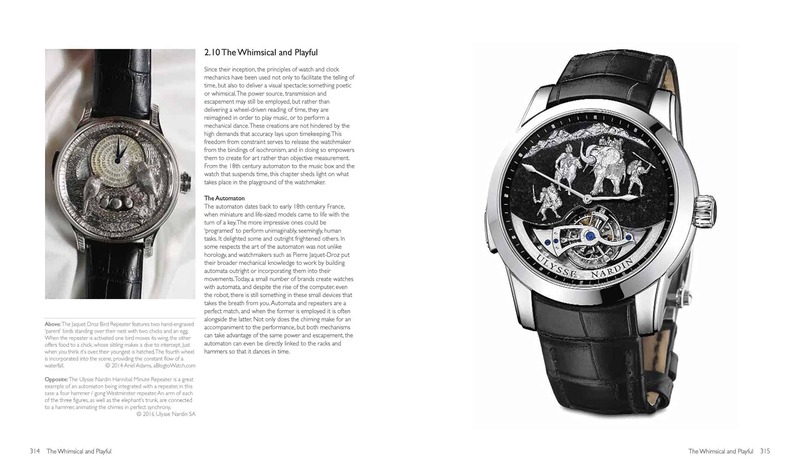 The Watch Book contains a magnificently-illustrated and well-documented chronicle of the world's best timepieces. This is printed on matt art paper for 175 screen printing with first-class photographs. 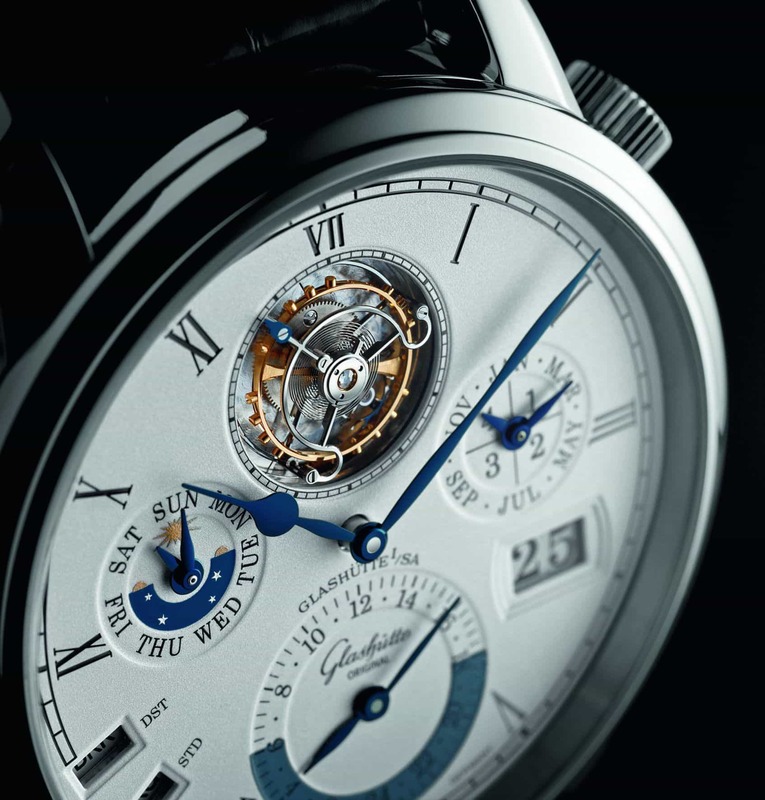 It starts with a brief discussion (in English, German and French) of the meaning of time and its measurement by ticking sets of gears and hands, before delving into more than 18 premium manufacturers, including Patek Philippe, Cartier, and Rolex. 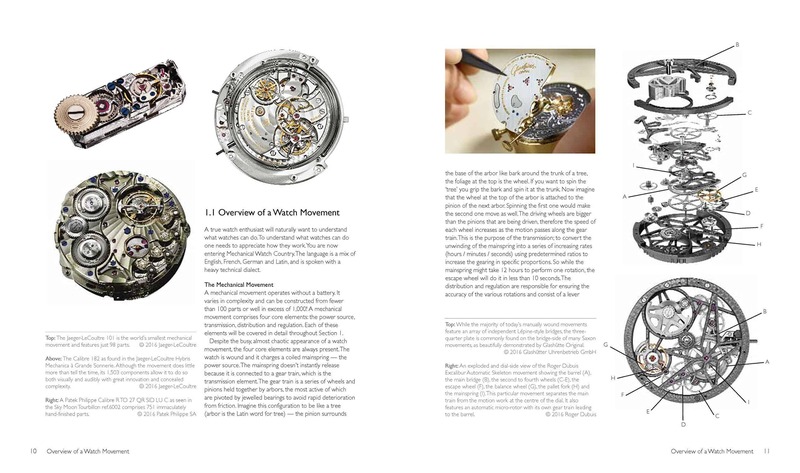 The Watch Book contains biographies of some of the most important watch manufacturers in top-end timekeeping, tracing their development from their early days right up to the latest innovations and current models. It explores what makes these brands outstanding, and the remarkable breakthroughs that established each of them as the best of the European watch industry. 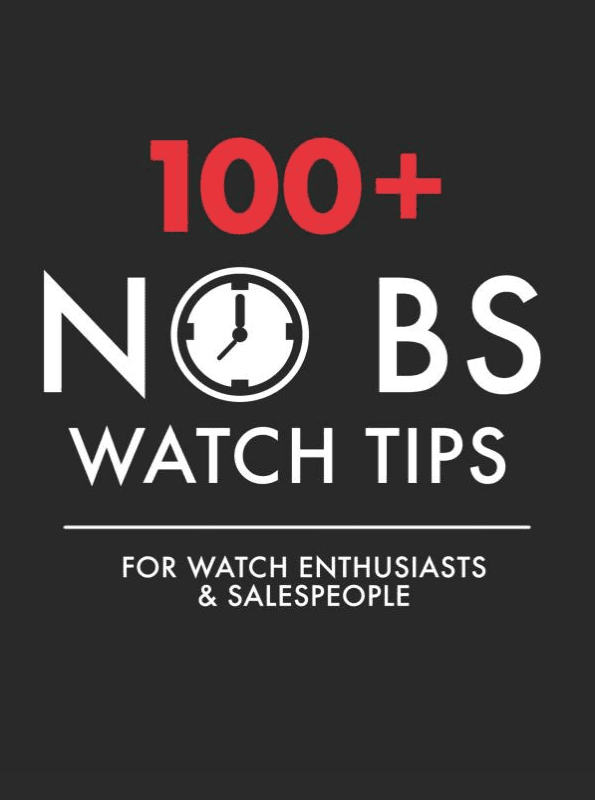 The 100+ No BS Watch Tips book is an uncommon guide to watches, watchmaking, and watch industry. This is not your average watch book. Watchmaking is complicated... but it doesn’t have to be boring! 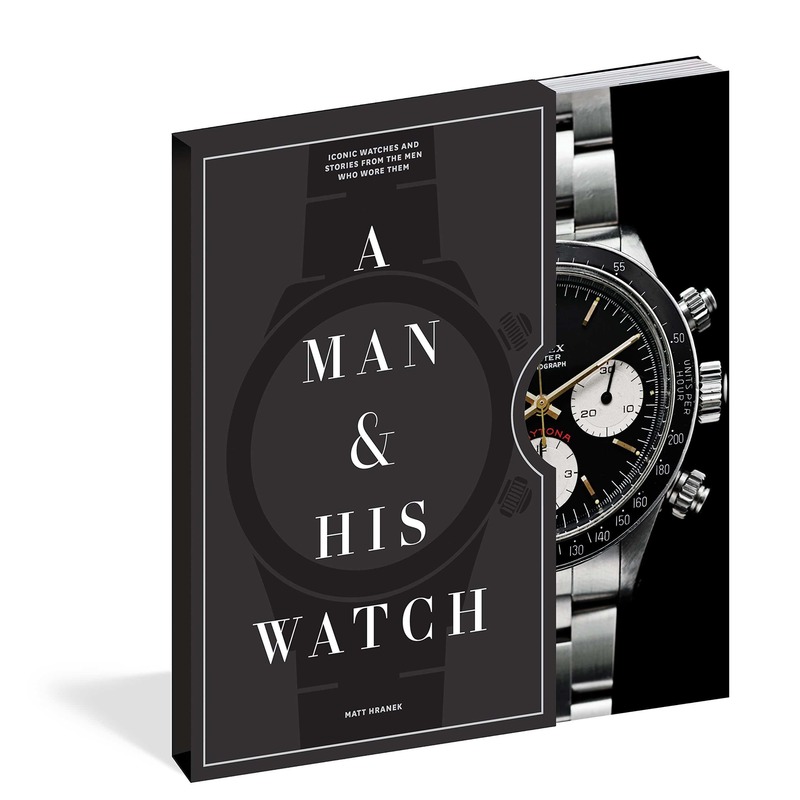 Whether you’re a watch enthusiast, watch salesperson, aspiring watchmaker, or just looking to get into the watch industry, this book is for you. No other book I have read about the watch industry describes it as well as this one does... very fun to read and powerful book! The book offers a perspective that is almost impossible to find when most modern horological literature focuses on history and brand identity rather than substantial facts... Anthony balances his knowledge base with a humor and candor that is rare in the conservative Swiss watch industry. 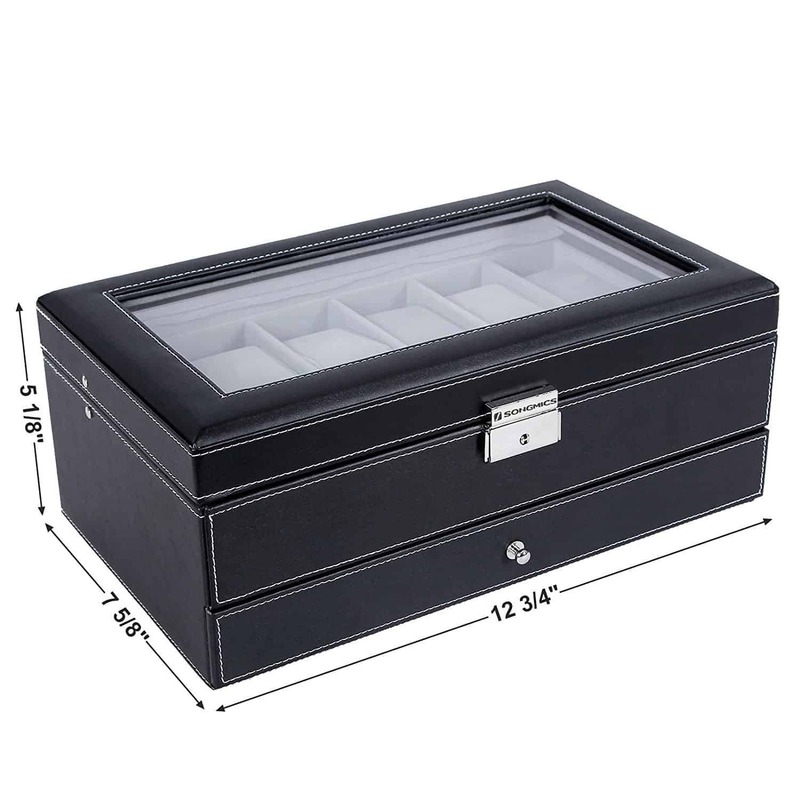 The Songmics Watch Box and Jewelry organizer is made of black faux leather and soft gray velvet, with a glass lid. Each of the 12 watch slots have removable velvet pillows. It also has a ring case, 2 stud earring cards, and 5 compartments for necklaces, bracelets, tie clips, cuff links, earrings, or pocket knives. 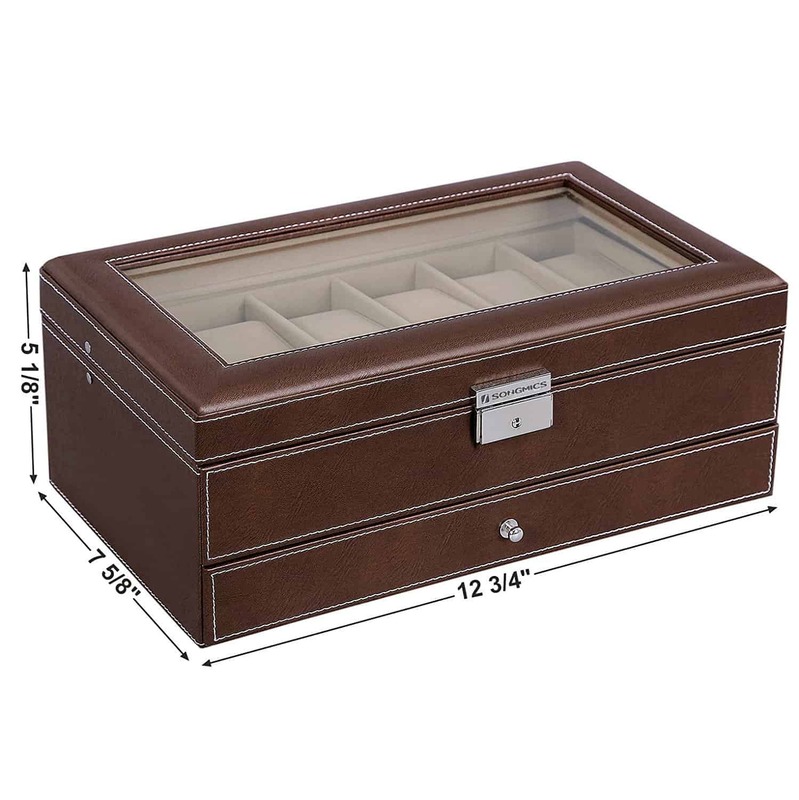 The 12-watch size box measures 12-3/4" x 7-5/8" x 5-1/8" (or 32.5 x 19.5 x 13cm high). Songmics Watch Boxes are perfect for watches 42mm and smaller. 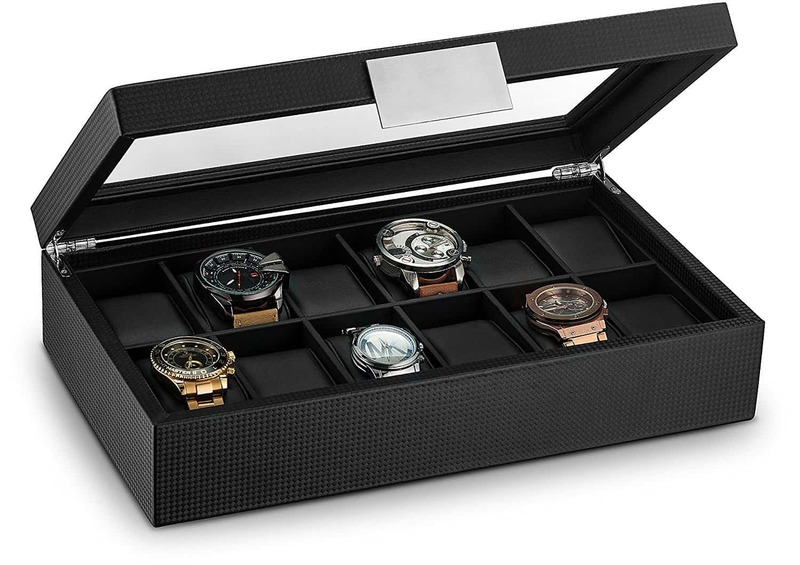 Larger watches can be kept next to each other if you stagger the cases at the top of the slot with the next one on the bottom of the slot. 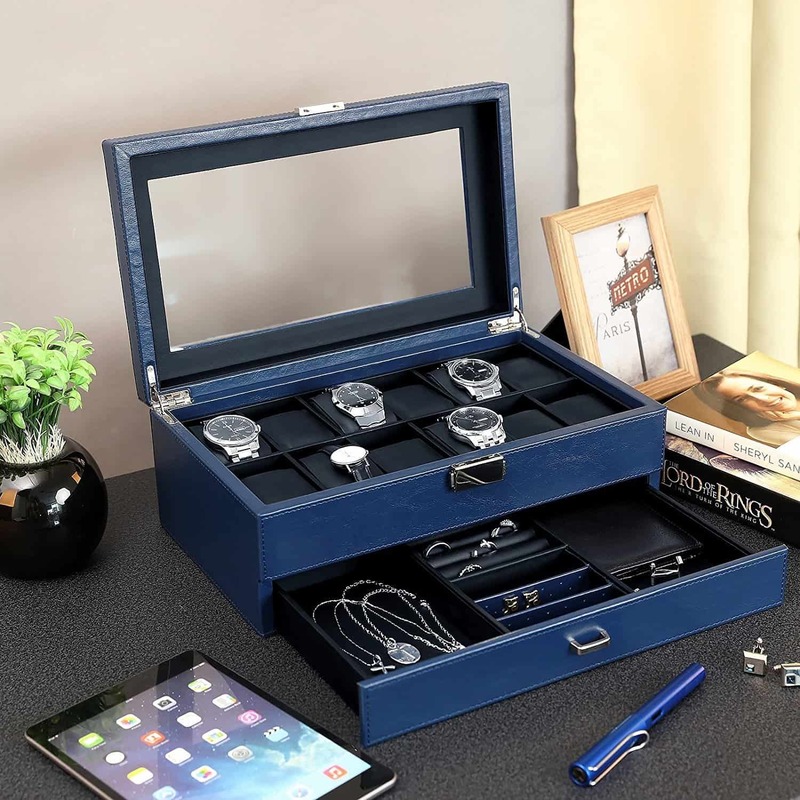 If you're looking for simple elegance with a glass lid and a case made of solid wood, then this watch box by Case Elegance may be what you're looking for. Each box has a branded soft felt bottom to help prevent any scratching of furniture. This also has magnets embedded in the lid to keep the watch box closed. The metal plate, the carbon fiber design, and the smooth faux leather cushions are all sophisticated, neat and classy. 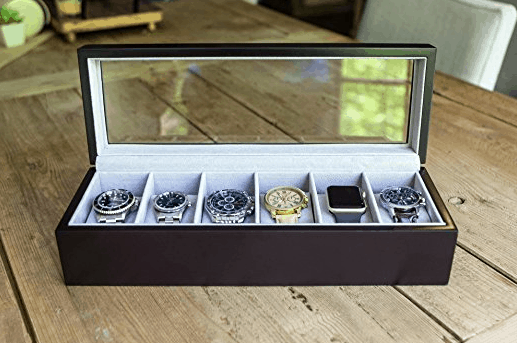 The box measures 15 inches x 9.4 inches x 3.9 inches and will easily fit larger watches. Automatic watches are kept wound by the movement of your arm. 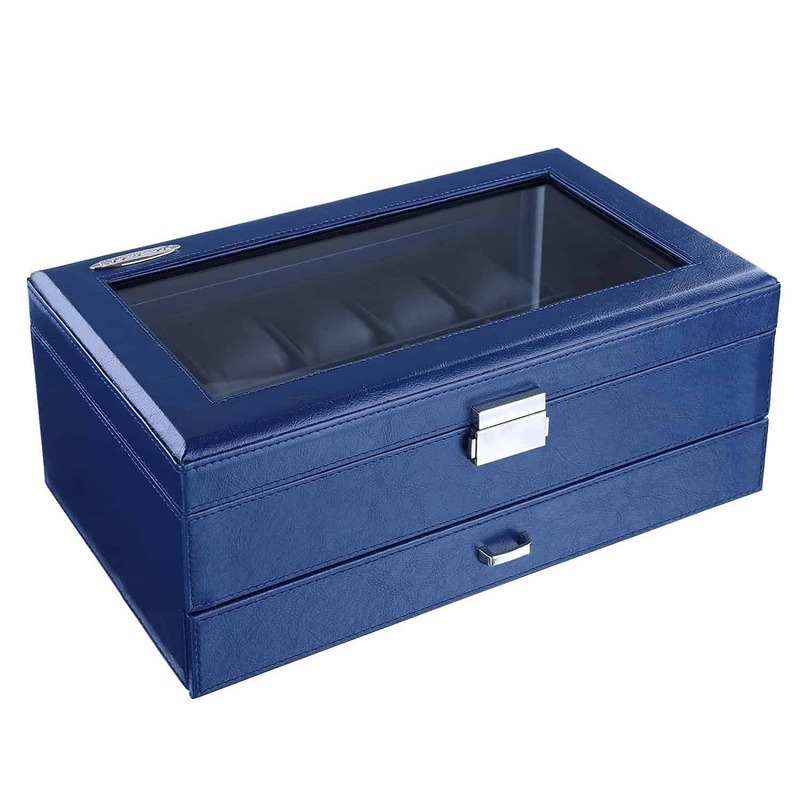 If you have a range of automatic watches or only wear your watch on special occasions, a watch winder will keep it wound and showing accurate time when it's not in use. Watch winders mimic the movement of the wrist by moving the watch around to keep it wound. These are especially useful for anyone with more than one automatic watch. These are also great for anyone with a watch with high complication such as a perpetual calendar, as these are more complicated and take a fair bit of effort to reset if it stops running. Note - Watch winders are not compatible with Seiko Kinetic watches because the watch mechanism is not the same as a traditional automatic movement watch. 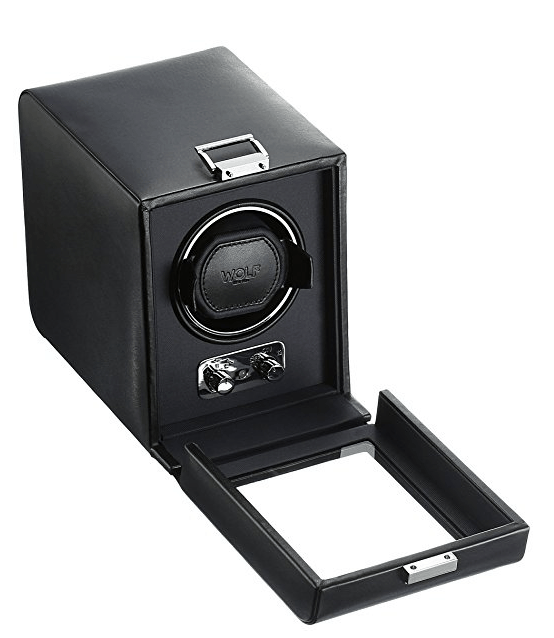 Versa Watch Winders use Japanese Mabuchi motors with custom designed gear boxes to reduce their noise level. Each part is precisely designed and tooled by machine and then hand assembled for exact fit and finish. All watch winders are designed and modified in the USA. This design will not cause harm to automatic watches due to magnetization. The Versa Watch Winder has 4 Turns Per Day (TPD) settings (350-650-850-1050) and 3 direction settings for clockwise, counter clockwise, and bi-directional. There are 12 different setting combinations. 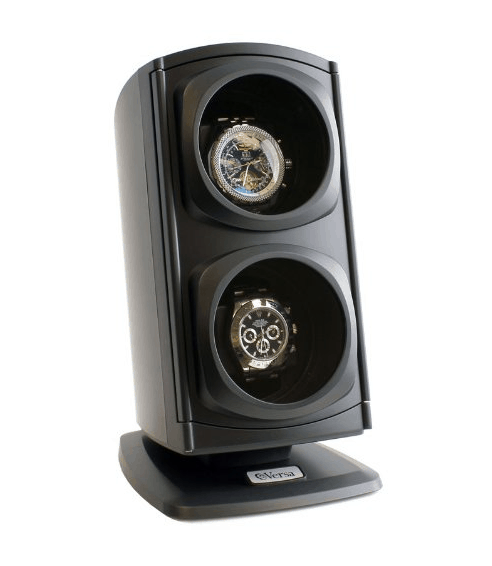 The watch winder turns for approximately 5 minutes, then rests for a period of time which varies depending on its setting. The cycle repeats while the watch winder is on. It's programmed not to turn continuously as this will cause your watch to be over-wound. Each Versa watch winder comes with a power adapter (100-240V), an instruction manual and a 1 Year Warranty. 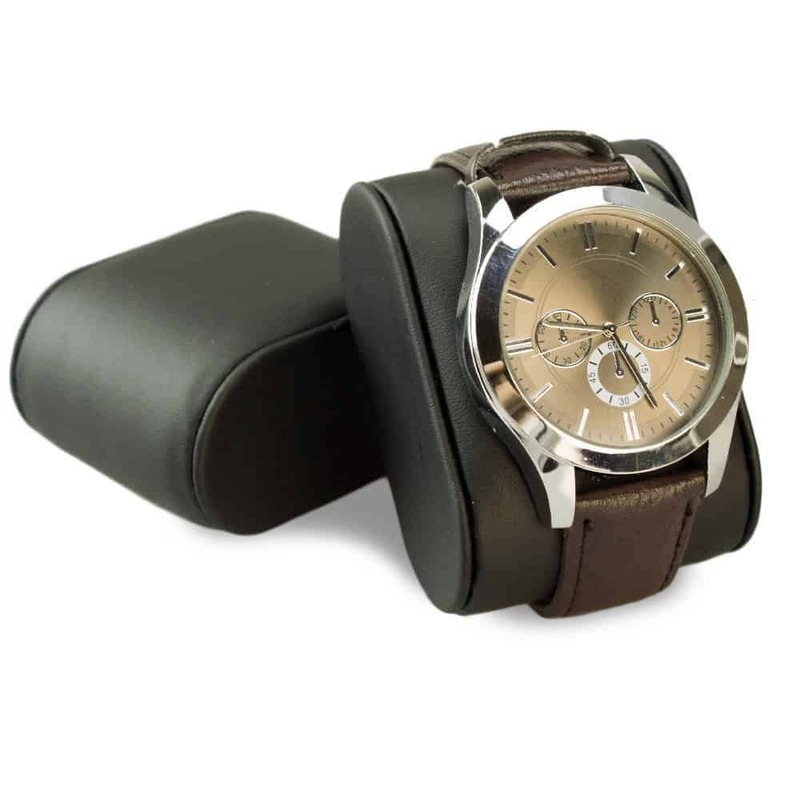 The spring action watch pillows to hold large watches, along with additional attachments are included. Versa Watch Winders are the Best Sellers on Amazon. 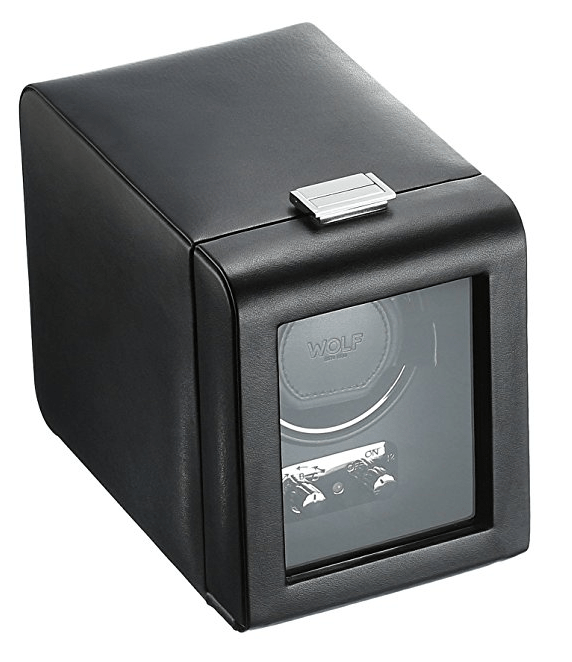 If you want a high-end quality watch winder, then it's hard to go past WOLF. Through their patented technology WOLF winders count and record the number of rotations while in use. Other winders only estimate the number of rotations. Other features of WOLF watch winders include silent nylon gears, rotation programs, and a lock-in cuff designed to handle bigger, heavier watches. They are pre-programmed to 900 turns per day (TPD) and have 3 directional settings: Clockwise, Counter-Clockwise and Bi-directional. WOLF winders are designed to have cycles of rest between its winding cycles. 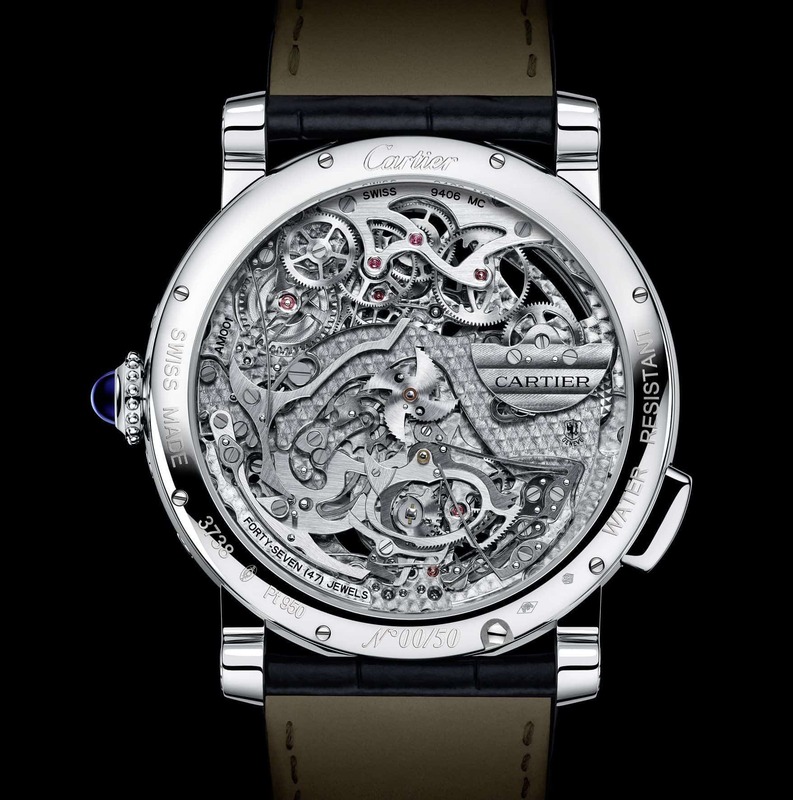 This ensures the proper amount of tension is placed on the main spring of the watch. All watch cycles take approximately 6 hours of winding and rest, and then will go into a 18 hour sleep phase before returning back to the winding cycles. The unit is ultra quiet and has battery or power option, with a universal power adapter included. It has good quality faux leather and satin lining. WOLF offer a 2 year world-wide Manufacturer's warranty on all of their watch winders. The book] offers a perspective that is almost impossible to find when most modern horological literature focuses on history and brand identity rather than substantial facts... Anthony balances his knowledge base with a humor and candor that is rare in the conservative Swiss watch industry. This is a nice collection of gift ideas for anyone who loves their watches.